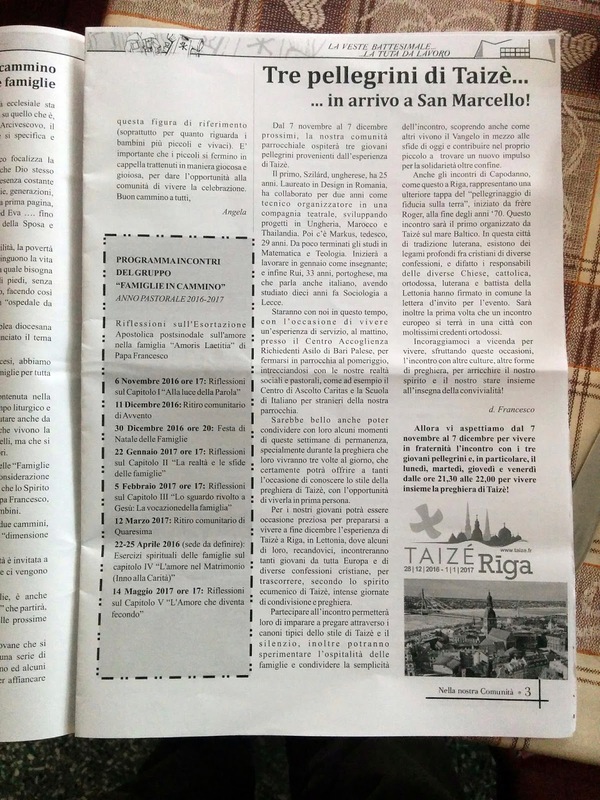 We have appeared in the printed newsletter of the San Marcello church. 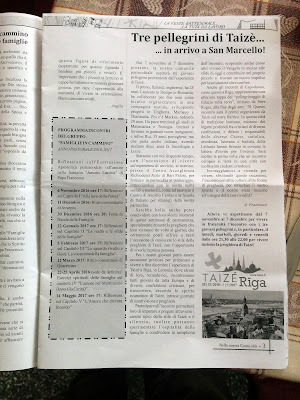 They are writing about us, what we are doing, about Taizé, the European meeting in Riga and the schedule of the prayers held by us. Italian knowledge advised for reading!